This Light Award is sponsored by the Freedom Lifestyle Income Program and processed through Kiva.org. 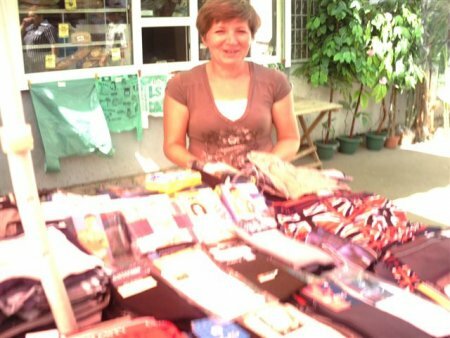 For the past seven years, Irina Konnikova has sold men’s clothing in the central market of Melitopol, Ukraine. A married mother of two, Irina is determined to provide a better living for entire family. Irina is hard working and kind, giving her the ideal blend of entrepreneurial determination and service. Skilled in trade and abounding in character, Irina has both a strong business base and a perfect credit history with Nadiya Ukraine. Currently, Irina is seeking a loan of $1200 to purchase a new vending facility and expand her business. With the increased income, Irina plans to continue growing her business and to improve the financial situation of her family.